Slideshow: Is your Mustang V6 or GT in need of some flair? Read about cheap and simple modifications with the help of this article. 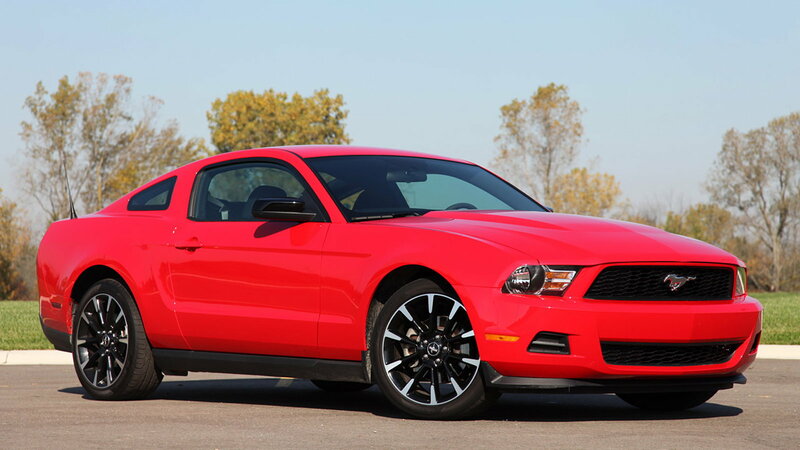 This article applies to the Ford Mustang V6 and Mustang GT (1994-2014). Are you looking to make your Mustang stand out from the rest and truly make it your own? If the answer is yes, then some modifications may be in your near future. Modifications can range from simple and inexpensive, all the way to full on engine swaps, which require expert mechanical knowledge as well as a large budget. This guide will show you some cheap and simple modifications that you can perform to your Mustang to make it feel more your own. Even though most of these are easy modifications, you should always seek professional advice if you aren't sure of how to complete a modification or have any questions about the process. Skill Level – Easy to Moderate; some specialty tools may be required, but no automotive repair knowledge is needed. Window tinting is when you adhere a layer of darkened and laminated window film to your windows, therefore tinting the glass to make U.V. as well as light rays bounce off the window and not penetrate your cabin. Window tinting not only keeps your car cooler and protects your interior from sun rays, but it also adds a sportier look and even a classy touch of dark glass to your Mustang. Installing window tint can be simple depending on the window dimensions, and some of the tools required include a spray bottle, squeegee, razor blade, etc. There are many shops that perform window tinting for decent prices, but only the best will offer a warranty behind their tint product. Recommended for its ability to protect your interior from harmful sun rays. >>Join the conversation about affordable mods you can make to your Mustang V6 or GT right here in The Mustang Source. Skill Level – Easy; no specialty tools or automotive repair knowledge required. Your Mustang's intake system is like our respiratory system: the more and cleaner air we breathe, the better our bodies will perform. Your Mustang comes with a rather simple but restrictive air filter and air intake from the factory. 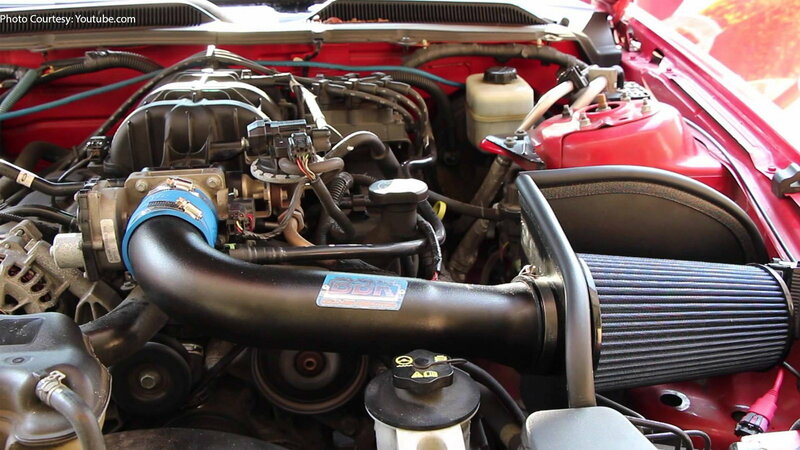 Upgrading to a high performance, washable air filter, or a cold air intake, is relatively simple and inexpensive. You can find various manufacturers online at many price ranges. Installing an air filter or air intake only requires a handful of tools like screwdrivers and can be performed rather quickly. Recommended for its easy installation. Skill Level – Easy; no specialty tools or automotive repair experience required. 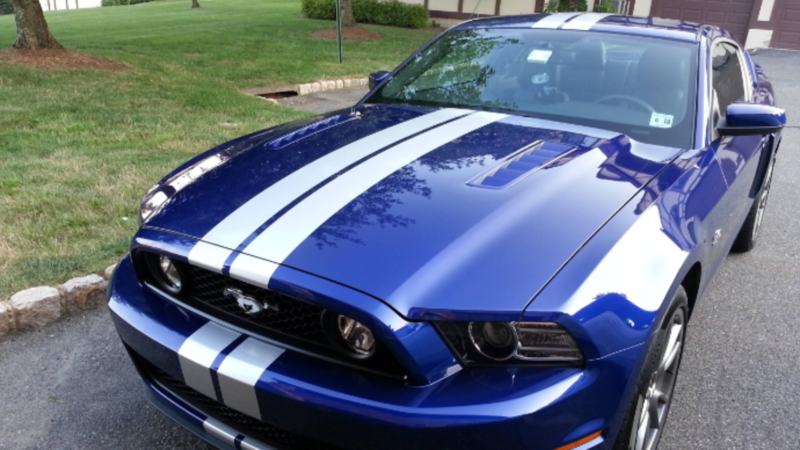 Racing stripes are almost synonymous with the Ford Mustang. Whether it is a legendary Mustang Cobra or a simple Mustang GT-H, racing stripes can make or break the attitude and overall look of a Mustang. Thousands of designs and colors of racing stripes can be found in mod shops as well as online shops across the globe, therefore giving you infinite options to customize your Mustang without breaking the bank. Installing stripes requires no tools, but it does require a lot of patience. Recommended for its variety in colors and manufacturers. Plasti-Dip is a kind of spray paint that is more like a rubber coating than liquid paint. 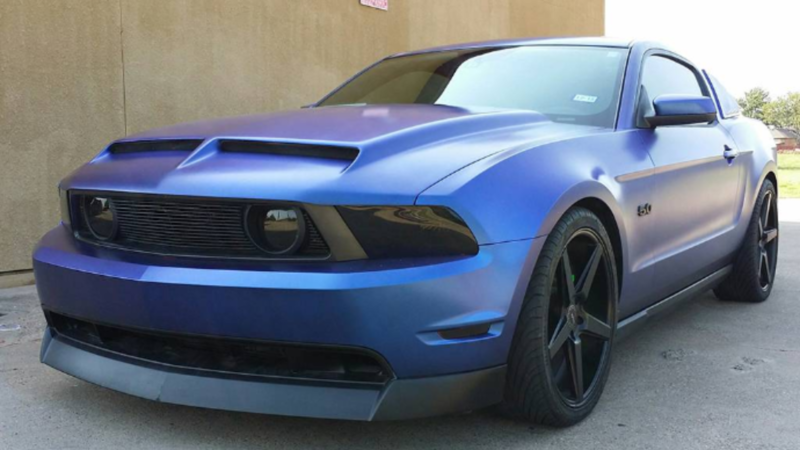 Plasti-Dip can be used to "paint" black pieces of chromed trim around your Mustang. 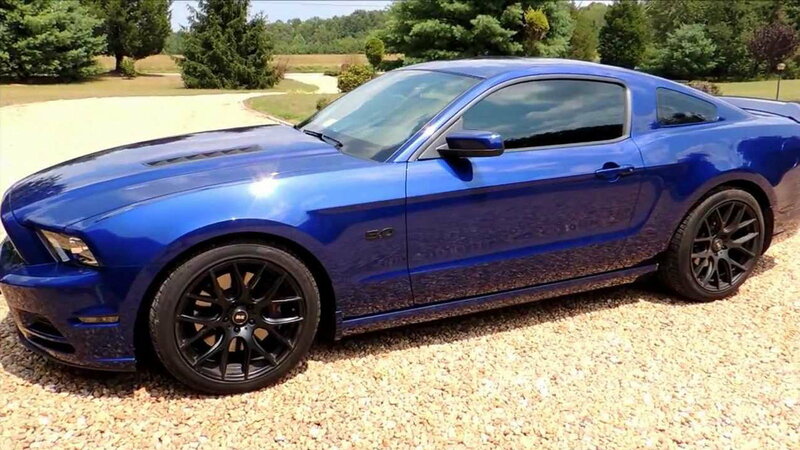 Many enthusiasts choose to Plasti-Dip the Mustang logo or any other badge designations around the vehicle, the bezel or mid belt that surrounds the car, windows and even the wheels. This is a very cheap and easy way to add the blacked out look to your car without spiraling your mod cost into the triple digits. Recommended for its great looks without breaking the bank. Skill Level – Easy; this task involves replacing an easily accessible part of the car. 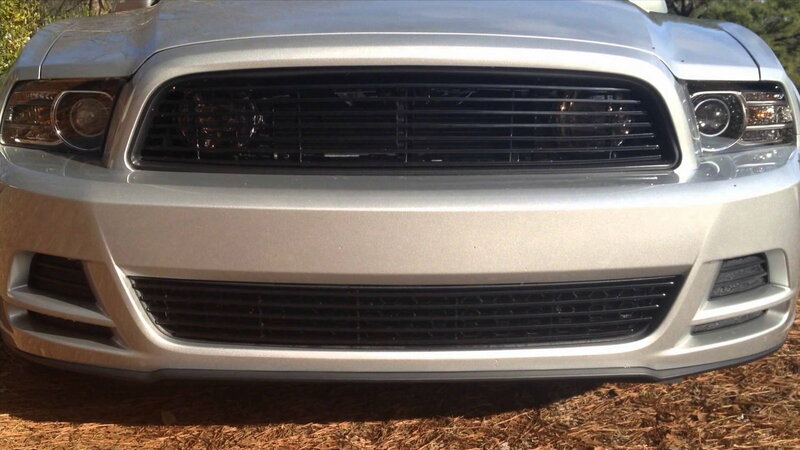 One of the easiest ways to update the look of your Mustang is to replace the stock grille with a specially-designed aftermarket option. The right selection can give your vehicle a whole new look. There are plenty of options to choose from, though the most popular are the billet and mesh. If you’re in the market for one, reputable brands to be on the lookout for include GrillCraft, APG, and Duraflex.ake sure the grille you want is designed for durability; some look shiny and new but will chip away when the first pebble strikes it. That said, you want grilles that have less plastic and more aluminum/metal components. Most aftermarket grilles come with the necessary hardware for self-installation, but this is not a guarantee—request confirmation that the screws and bolts are included with your purchase. Actual installation can be done at home and should take about a half hour. You’ll need flat and Phillips head screwdrivers, a ratchet/socket set and, depending on the grill purchased, possibly a drill gun. Skill Level – Moderate; this task involves updating a component in the electrical system of the car. Perhaps the most commonly upgraded component in a Mustang, and cars in general, is the stereo. This is because there are so many options on the market to choose from, and a good majority of them are affordable. Most of the time, the more you pay, the better the quality and a nice sounding stereo will be obvious to most passengers.ow will you interact with the stereo? Do you need one with a CD player or can you forego that option? What about satellite navigation? Do you want a touchscreen display panel with a navigation system, or are knobs and buttons sufficient? All of this will affect what system you buy, and how much money you wind up spending. Some of the more reputable brands that have a wide roster of options include Pioneer, JVC, and Sony. Finally, in terms of installing your new system, the stereo will come with instructions. Most systems vary, so make sure to follow the how-to details closely, as you are working with the car’s electrical system. 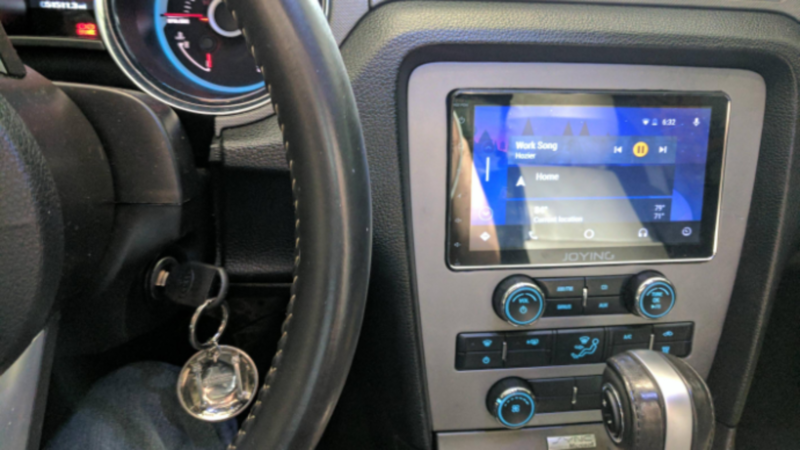 Due diligence is very important to ensure that not only your new stereo system is properly working at the end of the project, but the Mustang as a whole. All told, a new stereo face and upgraded speakers can be installed into a Mustang within 60 to 90 minutes.